Jamie enjoys exploring the surrounding woods and waterways of his home in Newmarket, New Hampshire where he lives with his wife and son. He loves spending time with his family, wildlife tracking, birding, stand up paddle boarding, and playing music. Jamie is a graduate of the White Pine Programs Wildlife Tracking Apprenticeship. Also, a certified Life Sciences educator in New Hampshire, he has worked as a high school teacher for the last five years. Fortunately, his love and empathy for the natural world have been fostered from a young age through adulthood by amazing mentors. 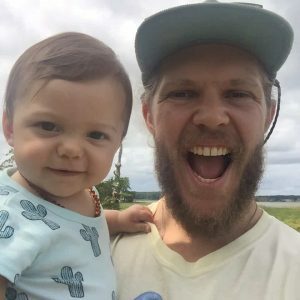 Jamie is committed to paying that gift forward by helping build connection to self, others and the natural world in the families and communities he encounters.